This year, Leopard’s Leap was once again a sponsor of the Kwêla and Rapport ‘Dorp van die Jaar’ competition, where towns in South Africa and Namibia competed to be crowned the best ‘dorp’. The Western Cape town of De Rust won this year, and as part of their prize, the town wins a party or ‘makietie’, with performing artists, a parade and fun events. 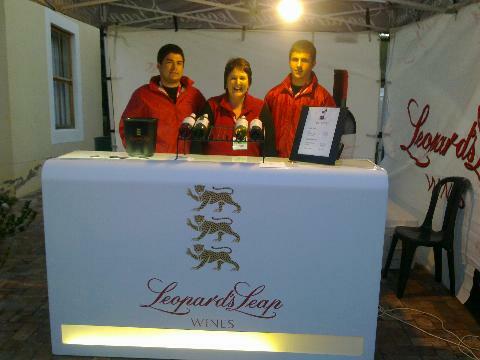 In the photo above the Leopard’s Leap stand at the makietie is manned by Hannes Longland, Susan Pieterse and Wiehan Pieterse.